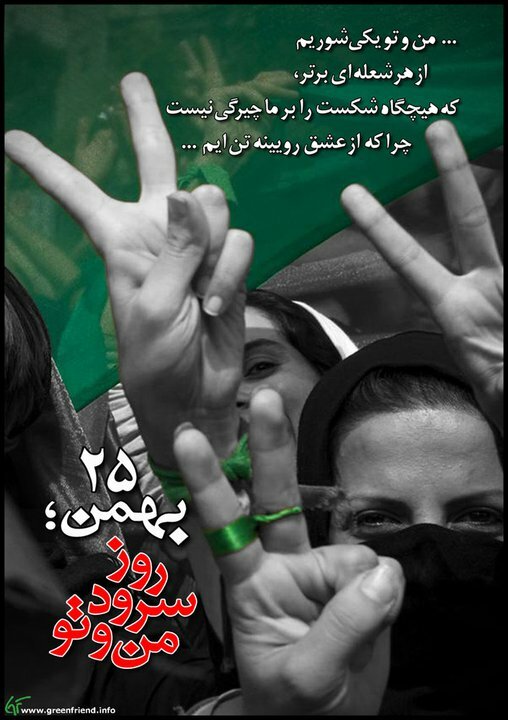 Februar | 2013 | FREE IRAN NOW! A picture showing Iran’s latest fighter jet patrolling the skies has been dismissed as a fake. Iranian bloggers said the picture posted on the Iranian site Khouz News, which purports to show a Qaher-313 jet soaring over a snowy mountain, had been altered using PhotoShop. The angle of the shot, as well as the reflections of light and shadows on the plane’s wings, appear uncannily similar to a publicity shot of the jet taken on the ground at its unveiling earlier this month. Experts have said the plane seen at the unveiling seemed to be a large model replica rather than a working prototype. Das bestenfalls gespaltene Verhältnis der Grünen zu iranischen Offiziellen beschäftigt auch ausländische Medien. Den „High Five“ kommentiert der britische Telegraph und fügt auch das inkriminierende Video bei, während vor einigen Wochen schon ein längerer Hintergrundartikel von David Neumann im neuseländischen Scoop’s erschienen ist: German Greens and the Iranian Connection. A familiar name for Iran pundits in Berlin is Ali Mahdjoubi, head of the Bundestag-office of Claudia Roth, joint Leader of the German Green Party. Sources with contacts within Iran’s hierarchy confirm that Mahdjoubi maintains close links with Iranian Ministry of Intelligence and has a mission to improve relations between Tehran and Berlin. When a delegation from Bundestag paid a visit to Tehran in October 2010, the arrangement was made by Mr Mahdjoubi. He did the same for Thomas Koenig’s visit to Tehran in January this year. In 2008, when a group of cross-party German MPs took the initiative to invite the leader of the exiled Iranian opposition to the Bundestag, Mr Mahjoubi drafted a harsh press release that was issued by Ms Roth to condemn the visit. The statement was warmly received by Iranian state run Press TV, now banned by the UK. German Greens were the only major political party in Europe to officially denounce sanctions on Iran’s nuclear ambitions as “illegal”. On Monday 23 January, EU Foreign Ministers imposed new unprecedented sanctions on Iranian oil industry. “Iranian leaders couldn’t feel more relieved having their operative well-placed in the office of the leader of the German Greens,” says Berlin-based analyst Nemat Tavanai, who escaped Iran following the 2009 sham presidential elections.